UNITED NATIONS, Jul 31 2012 (IPS) - When South Korea picked an oceans theme for the 2012 Yeosu World Expo, it became host to the largest marine-themed event in history, with the potential to make a concrete contribution to sustainable development and simultaneously buoy the Korean global image. With hi-tech spectacles, such as a virtual whale that feeds on the text messages of visitors, and the emblematic “Big O” structure, which floats above Yeosu’s sparkling waters projecting a nightly multi-media show, the global exhibition does not disappoint. But the question is can South Korea translate a captivating display of oceanic beauty and marine threats into concrete action to protect the world’s oceans and environment? In an interview with U.N. correspondent Isabelle de Grave, Ambassador Kim Sook, permanent representative of the Republic of Korea to the United Nations, talks about what the 2012 Yeosu Expo means for South Korea, for Yeosu and for the protection of the world’s oceans. Excerpts from the interview follow. Q: What does this year’s Expo mean to South Korea, its global image and role on the international stage? A: The Expo is one of the most significant international events and is expected to upgrade the national brand of Korea. It serves as a good opportunity to address climate change, depletion of natural resources, and the destruction of the ecosystem, which will bring out Korea’s active role in consolidating global cooperation. 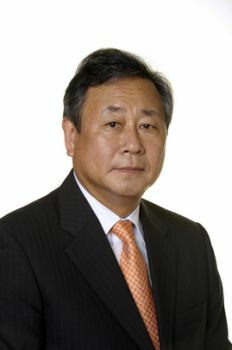 The government of the Republic of Korea expects that the event will provide an opportunity to enhance the international community’s awareness of the function and value of the ocean and coast, to share the knowledge on the sustainable use of the ocean and coast, and to strengthen the need for cooperation in the maritime sector. At the end of the Expo, the Yeosu Declaration will be launched, in which Korea’s strong commitment towards developing countries will be clearly reflected. As a recipient-turned-donor country, the Republic of Korea has made strenuous efforts to bridge the gap between developed and developing countries. This year’s Expo is an extension of such efforts, particularly in the field of oceans. Q: How has the coastal town of Yeosu benefited as host to the Expo and subsequent beneficiary of an eco-friendly urban regeneration project? A: The Korean government introduced the concept of “low-carbon green cities” and has applied it to new urban planning and urban regeneration projects since 2009. Low-carbon green cities aim to build a low energy-consuming socio-economic system that promotes environmental protection and economic growth simultaneously. By seizing upon the Expo’s momentum, Yeosu has been transformed into a model case of the green growth project. Now Yeosu has become a low-carbon green city that promotes green growth by combining green technology, including green construction, green traffic, and new renewable energy, with smart grid and information technology. Despite its rich marine resources, Yeosu’s poor infrastructure has restrained its potential for development. However, the improved infrastructure has helped the city to fully utilise its potential for sustainable development and to set the foundation for the future development of the entire southern coastal region. Q: How will Expo 2012 build upon the outcomes of the Rio+20 summit on sustainable development? A: Oceans is one of the areas with the most important outcomes in Rio+20, including an agreement to take a decision on the development of an international instrument under the U.N. Convention on the Law of the Sea (UNCLOS) to address the issue of marine biodiversity beyond areas of national jurisdiction as well as to call for the elimination of IUU (illegal, unreported and unregulated) fishing and market-distorting subsidies. Rio+20 is not an end, but a beginning of our journey into sustainable development. To make Rio+20 an ultimate success, we have to translate our words into actions. The theme of the Yeosu Expo, “The Living Ocean and Coast,” conceptualises the future we want for oceans, where sound preservation of oceans is essentially linked with sustainable development for humankind. I am certain that the Yeosu Expo will expedite the continued progress on international cooperation to achieve the conservation and sustainable use of oceans, seas, and coastal areas. Q: What contribution can technological exhibits at Yeosu make to sustainable development? A: Green technologies, which are being exhibited at the Expo are not merely token green technologies, but technologies of the future, and some of them are also popular in Korea now. Green growth seeks to achieve the dual goals of environmental sustainability and economic growth at the same time, and green technologies are the foundation upon which both of these goals can be achieved. In January 2009, the Korean government drew up a Comprehensive Plan for the Research and Development of Green Technologies. In May 2009, a Strategy for the Development and Commercialization of Major Green Technologies was established. The Korean government has increased investment for the Research and Development of green technologies. In 2012, about two billion dollars will be invested in order to secure original technology and ease market entry. In addition, the Korean government is making further efforts to facilitate, disseminate and commercialize green technologies. It also endeavors to establish the foundations for green technology industries while simultaneously promoting active international cooperation. Q: How do you view the government’s recent announcement to allow whaling for scientific research against the backdrop of the 2012 Yeosu Expo geared towards protecting the world’s oceans? A: The Korean government understands concerns expressed by the international community on the issue of scientific whaling. The Korean government will soon make its decision on whether to submit the proposal on scientific research whaling after thorough consultations with domestic fishermen’s associations and environmental organisations, and discussions with concerned International Whaling Commision (IWC) Member States. Even if the Korean government decides to submit a proposal on scientific research whaling, its decision to conduct scientific research whaling in accordance with international regulations and procedures will be fully committed to the recommendations of the IWC Scientific Committee.